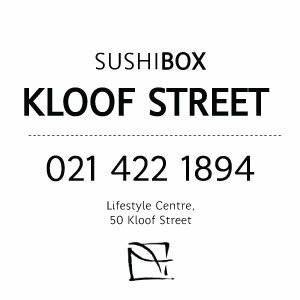 Sushi Box - On the lookout for the best sushi in Cape Town? 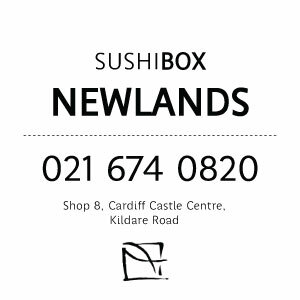 Look no further than Sushi Box! Outlets in Newlands, Kloof Street & De Waterkant. Sit-down & takeaway available. 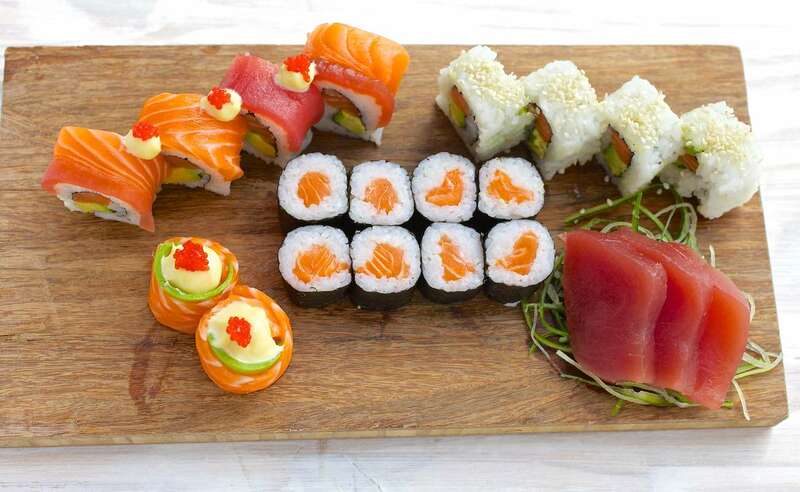 Using only the freshest ingredients, combined with the friendliest service, Sushi Box is Cape Town’s premier sushi destination, offering a relaxed and upmarket dining experience. Sushi Box prides itself on ‘sustainable from source’ ingredients, using only the best to make the freshest sushi. Along with the flagship restaurant in Newlands, there are branches on Kloof Street, in De Waterkant, in the Silo District, in Willowbridge Mall, and at the Heritage Market at Constantia Uitsig. A family-owned business, Sushi Box was established in March 2012 by Christo Bornman. 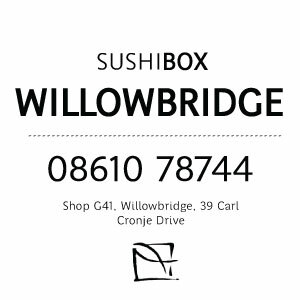 We are passionate about what we do and look forward to sharing our love for gourmet sushi with you at our branches in Newlands, Kloof Street, De Waterkant, the Silo District, and Willowbridge. Expect fresh, quality sushi, friendly staff, efficient service and a laid-back atmosphere. Keep an eye out for our signature white paper lanterns strung from the ceiling and an expansive blackboard wall which displays the menu. I just love sushi box so much. Sushi is always fresh and delicious. I was delighted that they have opened in Cape Quarter. I did not have the time to sit down so instead got takeaways and it still looks so divine when I open the box of sushi. Sushi is love and sushi box is sushi at its finest. Pop in or Sit down.. The service and quality is undeniable... It Is... Sushi Box. A most pleasurable experience... we will be back for sure! Awesome experience at this gem in Kloof Street. Wonderful vibe, friendly and efficient staff, and of course, incredible sushi at great prices. Can you say "unbeatable value for money?" My favourite sushi restaurant by far! Their menu has a wide variety of exciting flavour combo's and then the classics. Portion size is perfect and presentation is always beautiful. Thank you for another amazing meal Sushi Box! 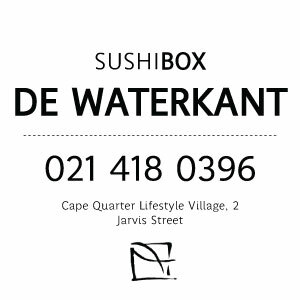 Best Sushi in Cape Town!!!! Amazingly fresh, creative presentation and very friendly service. Always an awesome experience - Thank you! My friend and I had a late lunch at Sushi Box in Newlands on Sunday afternoon. As always it was fantastic. Chilled out atmosphere, friendly and vibrant staff and the most amazingly tasty and fresh sushi ever!! I highly recommend this restaurant to anyone wanting an unforgettable sushi experience! Please contact us and let's discuss how we can make your Gourmet Sushi an experience for your colleagues and friends to remember! 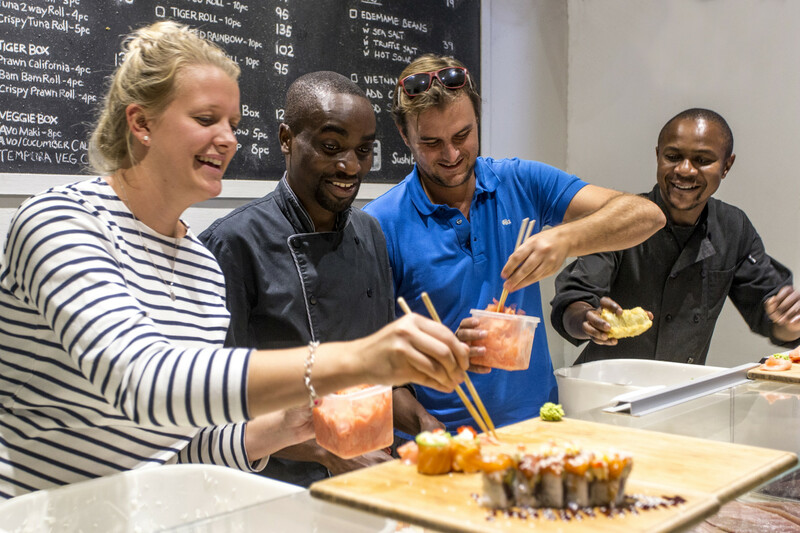 We are passionate about what we do and look forward to sharing our love for gourmet sushi with you at our restaurant or takeaway in Cape Town. 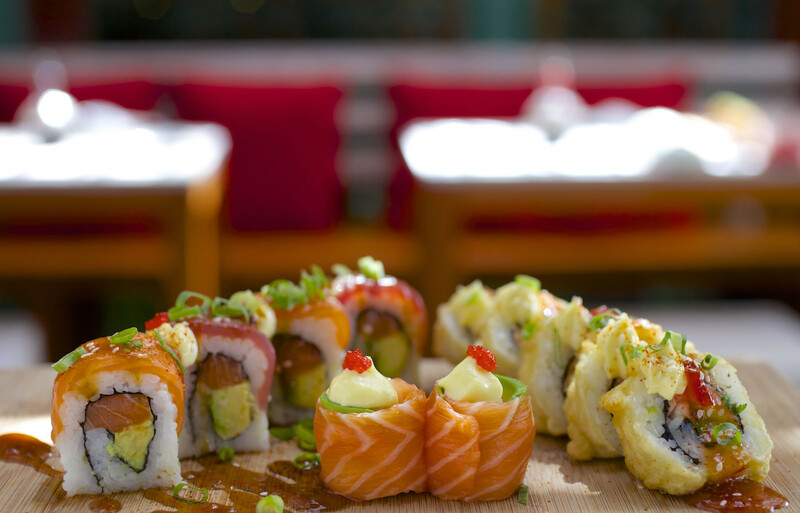 We don't take bookings at Sushi Box because the restaurants are boutique venues. Customers are seated on a first come basis.